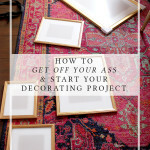 Decorating an entire room from scratch can be a bit intimidating. We moved into our home last year and I still haven’t decided how each room will be decorated (!) and so I’m just trying to concentrate on one space at a time. But it’s easy to get distracted by the details without having a set plan in place and when facing a total makeover, you may have no idea where to even begin. 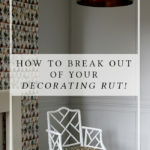 I wanted to share some of my own thought processes for decorating a room from scratch in this post. These are the steps I take before I even put the first coat of paint on the walls. The fact is, unless you want to waste a lot of time and money, you are going to need a plan of action first. So if you’re wondering where to even begin, I wanted to create a bit of a broad overview in terms of what elements of each part of your design need to be addressed before you begin. One of the first things that any interior designer will ask their client is what the space will be used for. Of course, the answer may seem obvious – for example, “It’s our living room, we’re going to be watching TV in there.” But you need to think carefully about how the room itself needs to function to meet your requirements. Do you like to sprawl out on the sofa? How many people will be sitting in that room at the same time? Do you sometimes eat meals there? Do you entertain often? Will you use the room mostly in the evenings or do you sometimes work from home and you’ll be sat there on your laptop? All of these questions will help you to understand what functionality (and storage requirements) will need to be incorporated into the room. You’ll also want to look at the quality of light in the room. Which way does the room face? A southwesterly facing room will have the sun on it most of the day with a warm golden light in midday where a northeasterly facing room will likely get a cooler blue light throughout the day. This will help you to understand how colours will translate in your space. Paint colours are notorious for changing depending on the light so you want to bear this in mind when considering colour themes. You’ll always want to take measurements of the entire room – from the floor space to where windows, radiators, doorways and plug sockets are. This will help you to see where your furniture placement should go and how you can make the most of the room and how traffic will flow through it. Keep these with you when you’re shopping, whether that’s online or in any shops. Lastly, consider what furniture, artwork and accessories you already own that you’d like to work into the final design. These items will impact the design of the space as well as your budget. If you don’t know what you really love, you will find it really difficult to narrow down your inspiration because you will constantly be distracted by what’s on trend rather than what actually really makes you happy to live with. 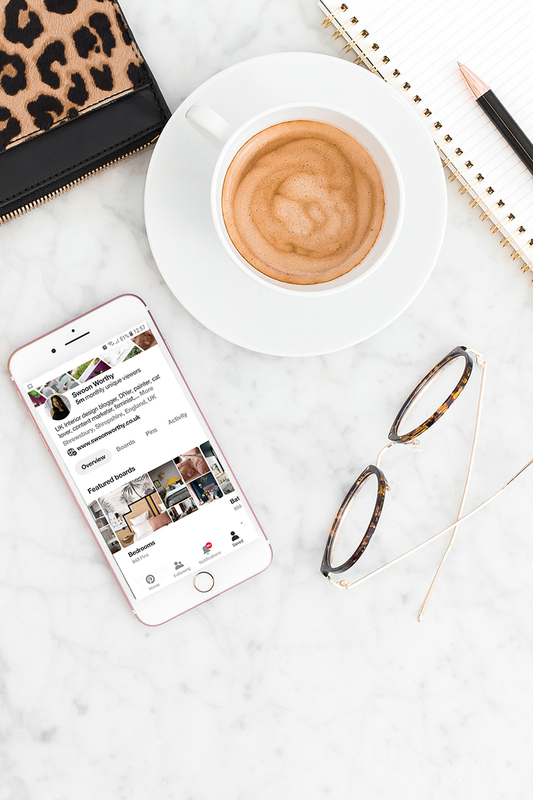 I would highly recommend reading and following the steps in my post about finding your personal style using Pinterest. It’s helped lots of people in the past really narrow down their own personal look and you can see how just three of them did it here. 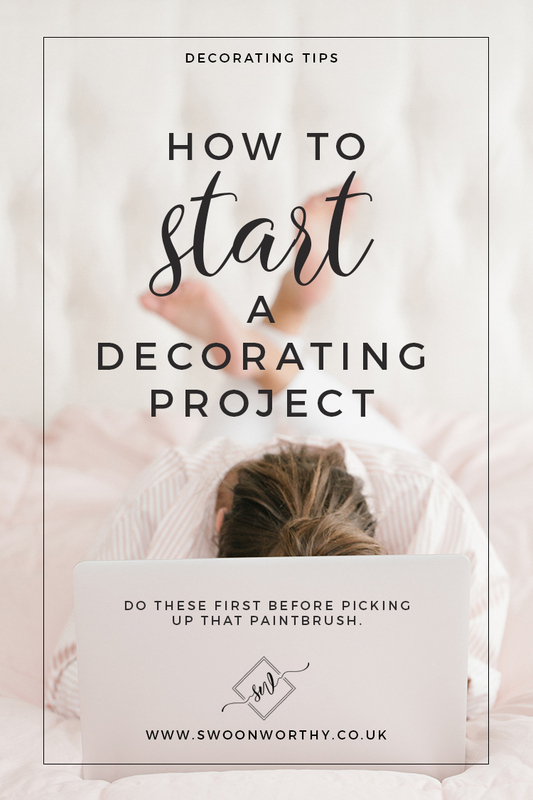 Once you really understand your own personal style, narrowing down the choices you’ll make in your decorating project will make the whole process go a lot faster and you’ll be less likely to have buyer’s regret. This is probably one of the most exciting parts of the project. It’s time to start looking at your Pinterest boards, tearing through magazines and saving all those Instagram posts you’ve been loving. Use these to get your imagination flowing for the possibilities for your space. Keep in mind your own home and be realistic with your expectations. While you may be lusting over that Parisian apartment with its tall ceilings, ornate cornices and huge room sizes, if you live in a 60’s semi with low ceilings and not a lot of original features, you may be better off looking at homes that are similar to your own to see what might allow your own architecture to come to life. Pay attention to things like colour schemes and styles as well. While you are gathering inspiration, notice if the spaces you love have themes running through them. 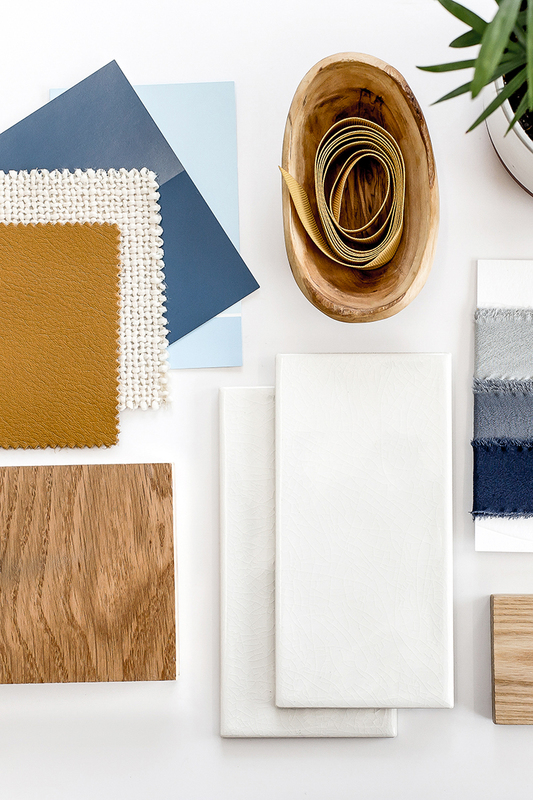 If the same colour schemes or finishes or furniture styles are repeated in multiple images, then it’ll likely be these things you’ll want to incorporate in your space. While it’s easy to get swept into the fantasy of how your room might look with a lottery-win, your budget will play a bit part in terms of what you’ll be able to spend on and the finished result of your project. I would recommend making sure the foundations of your project are your first port of call when it comes to your budget. Do the walls need to be reskimmed? Does the flooring need to be replaced? Do you actually need more electrical outlets or move a radiator or configure different lighting than what you currently have? 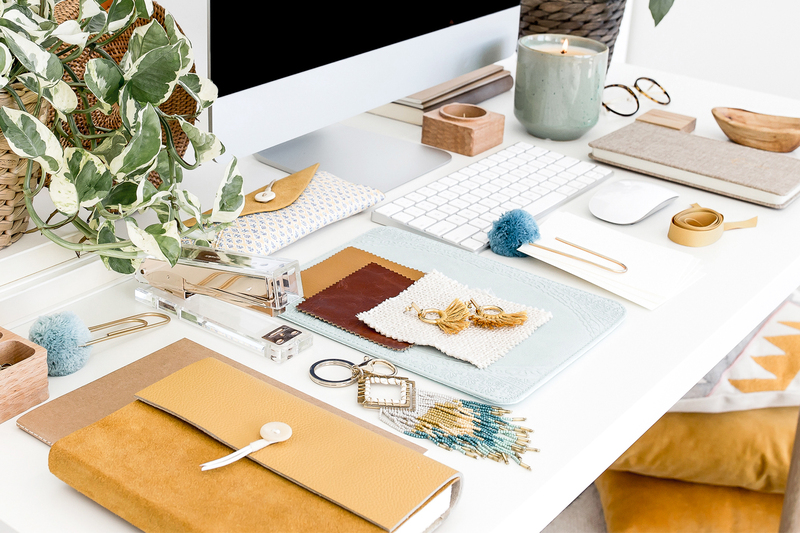 All of these things will need to be taken into account for your budget but believe me, you’ll want to sort “the bones” of the room before you start filling it with pretty things. Once the foundations of your room are in place (and any tradespeople have been called in for a quote to sort it out), then you can begin to look at the bigger ticket items. What takes up the most visual space in the room? 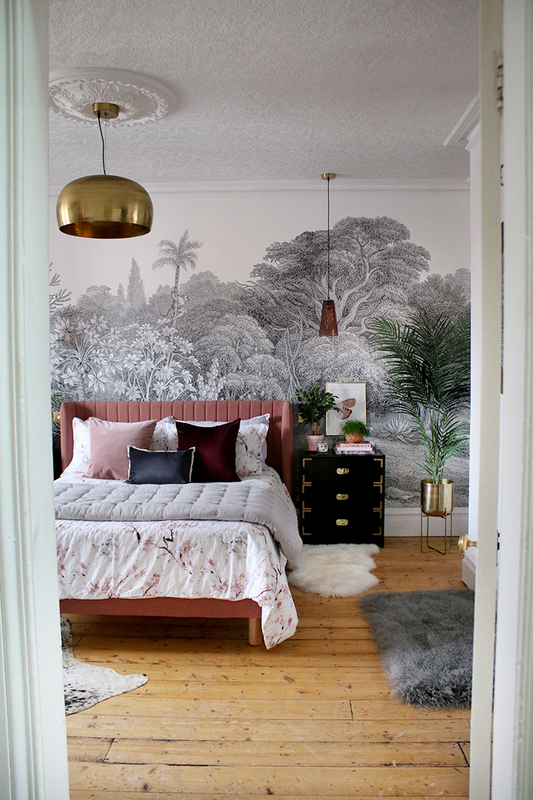 Is it going to be the bed in your bedroom or perhaps your desk in your home office? The sofa in your lounge or the dining table in your dining room? Think about what will make the biggest impact and start your budget allocation there. 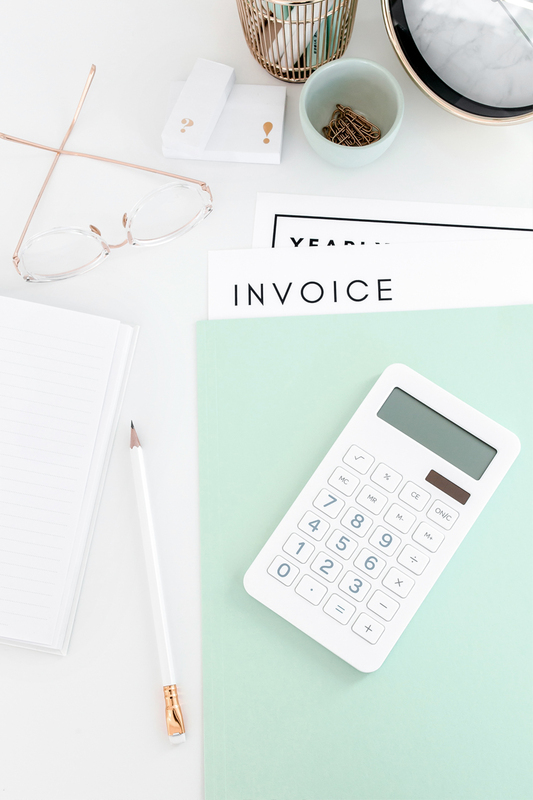 You can adjust your budget as you go, of course, but understanding where the bulk of your spend is going to go means prioritising those elements of the space that are really important to you. 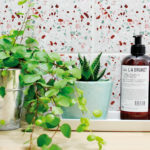 Perhaps you have your eye on a wallpaper that’s £300 a roll – well, if that one big-impact item is going to use up 50% of your budget, then you’ll need to make compromises elsewhere in the space. Plan out each element of your room in terms of work required, furniture, paint, lighting and accessories and the budget you’re allocating to each and create a spreadsheet to keep track of costs as you go. You’ve got your style sorted, your colour scheme planned and you may already have a few pieces in place that you’ll be working into the room design. Now’s the time to start designing your space, researching for items within your budget and creating your room design. Consider creating a rough moodboard – either physically or digitally (it doesn’t have to be fancy) – with the elements you’ve chosen to ensure all the pieces of the puzzle work together to create a cohesive space that reflects your personal style whilst also addressing the requirements you’ll be needing for your room. Don’t forget those all important finishing touches as well. Finally, it’s time to create a schedule for when you’ll be doing each element of the design. If you’ve had tradesmen in to quote the job, make sure you keep those lines of communication flowing so that your room comes together on time and on budget. I keep a calendar which outlines when each part of the design will be complete from painting and hanging wallpaper to ordering in furniture (double check lead times!) and other materials I’ll need to finish my design. Bear in mind, you’re likely going to have to keep this a bit flexible. If you are doing a lot of DIY on your space (like we do! ), progress may be slower as you will likely be working on the room in between other responsibilities. Be realistic how much time something is going to take – from the work that you have to do to the lead times of products you’ll need to order in. Once you have your schedule in place, you’re ready to start your room! I hope these pointers were helpful when you decide to decorate your room. Which rooms are you planning out at the moment? I’d love to hear from you! Thanks for these great tips! I’m just getting into a new place and things are going to be changing drastically so this gives me a blueprint for staying on track and budgeting realistically. All the tips made sense. Thank you for doing the thinking and putting into an ordered list. Great post! Do you have an example spreadsheet of how you outline your budget or timeline? This is a very comprehensive guide. 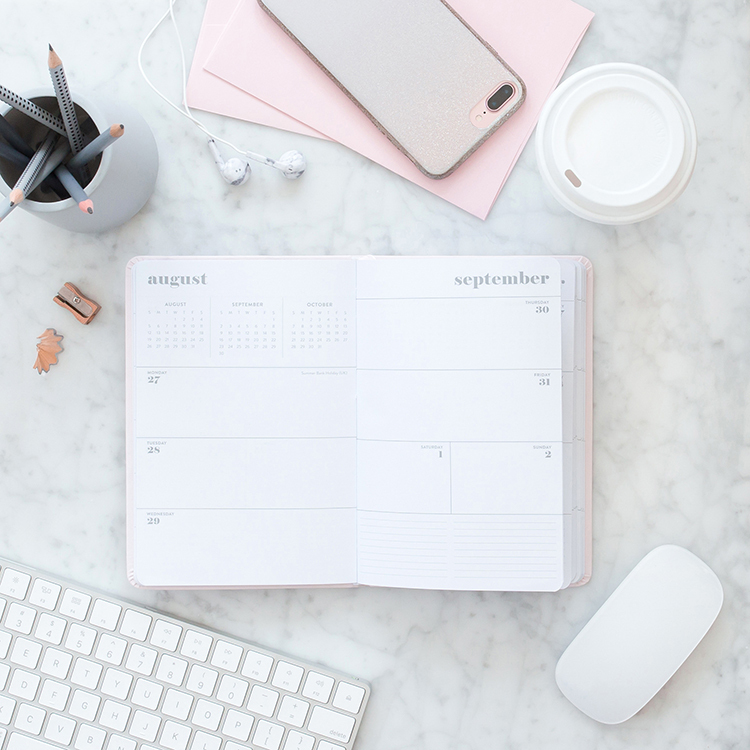 Your point about making a schedule is particularly handy as decorating can feel quite overwhelming without a schedule, so you know exactly when everything is going to get done. Thanks for sharing!